Movavi Video Editor free serial key now with 100% discount. The version on this free offer is a special edition but it seem decide some features. Download the full Movavi Video Editor license key on this offer because it now 100% free. Personal activation code price the software is $39.95. On this promo, spend $0.00 to download the software. Movavi Video Editor is popular application to edit video files with ease. It features with elegant and intuitive interface. Besides the standard editing tools, the software also features with many video effects. On this offer, the software is now free. Movavi in collaboration with PCFormat, giving away special edition this software. 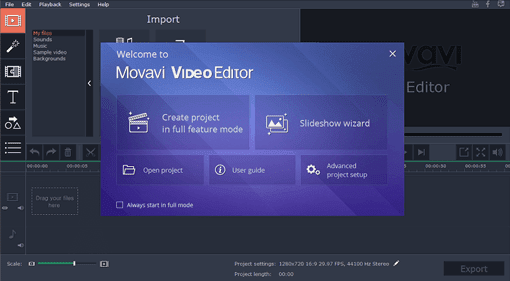 Everyone can download free Movavi Video Editor license key for free. The 100% discount will end soon. So, you must hurry to download the software. The offer has tested. You can get one genuine code from the following link. Free registration link for this software: visit this link (ends). Giveaway version Movavi Video Editor on this offer is works and support on Microsoft Windows XP, Vista, Win 7/8/8.1, and Windows 10. To the software for free, visit the giveaway link above. Enter your name your name and valid email on the online form. Then click on “Get an activation key”. You’ll receive the license key soon after submitted the form. Download the installer, install it and use the code in your email to activate the software. Like other offer, there no free upgrade and no support for the giveaway software. Seem the giveaway version decide some features. The full features is available on the standard edition that now available with 30% discount. Buy using Movavi Video editor coupon code to get full features. Also can be used for business. Edit and create video. Offer complete tools to edit any videos. Add background music to your video. Add videos titles and special effects. Also equipped with color correction and video enhancement. Movavi Video Editor special edition without converter features. Also there no recording and converting tools. It also does not support to capture via VHS and webcam.